With a goal to disrupt the crowded nutrition category, Co-Founder of Form Damian Soong started the challenger brand with one belief — ‘that we can realise the greatest version of ourselves while being mindful of others’. From the brand’s careful curation of plant-based ingredients to its commitment to give back to underprivileged communities, the drive to do good in the world and make a positive social difference has anchored Form as a thought-leader within the multi-billion dollar nutrition and supplements market. 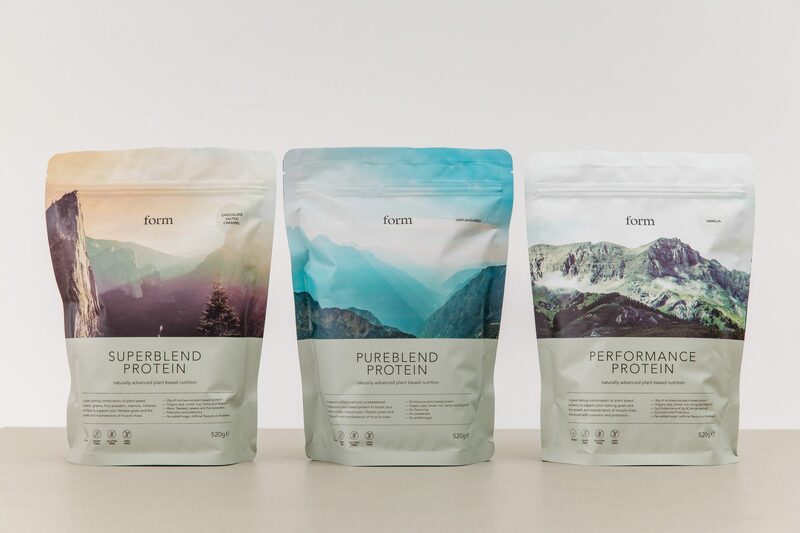 Bringing a fresh perspective to the wellness space, Form’s performance-enhancing protein and cognitive boosting nootropics are broadening the definition of nutrition and impacting a growing community of conscious consumers. 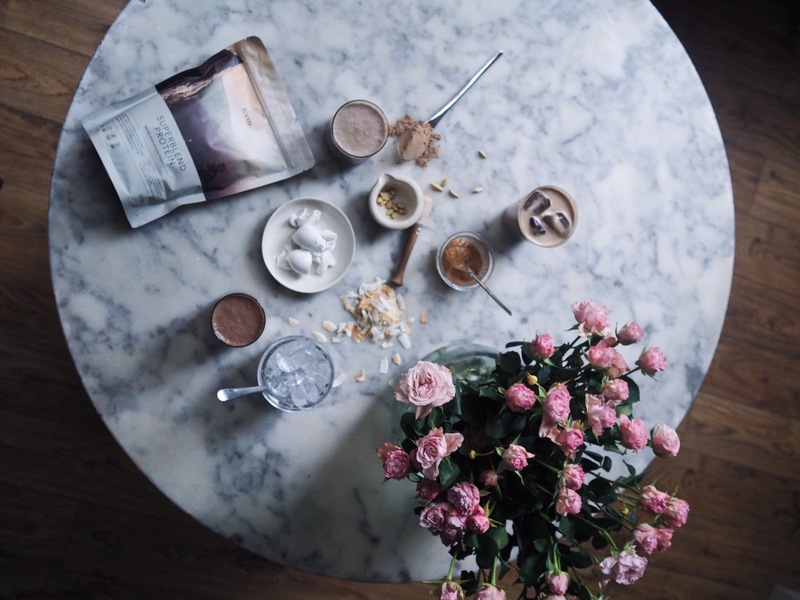 By embracing the challenge to launch a brand that could flip the traditional nutrition narrative on its head, Soong and his co-founders have created a more mindful and elevated offering that’s a sign of times to come. With plans to continue innovating and inspiring, to ensure the positive growth of both Form and the wider wellness industry at large, ahead of the brand’s support of and involvement in the Welltodo Summit in London on 28th June, here Soong reveals why creating brand value is crucial, the key to building a team for growth and how brands that are working towards a greater purpose are becoming the new norm……..
On standing out in a crowded market…….. I saw a challenge. The nutrition space was extremely crowded, but no one was really elevating the concept of nutrition and there was no plant-based brand that really spoke to me. Most plant-based products were additions to dairy brands and most brands were positioned towards the macho gym crowd with big plastic tubs, or towards hippies with unimaginative pictures of ingredients and flowers. There was nothing aspirational and performance-driven and targeted towards peak leaders. No one was thinking of nutrition as more than a protein shake after exercise. I figured there must be some clear space for a new brand with new ideas. The challenge to create a brand that could stand out in this crowded space became the opportunity. On cultivating a compelling brand vision……..
With Form, we’ve always wanted to create something more mindful and elevated. The brand vision we drafted was ‘we believe we can be the best version of ourselves while being mindful of others’. This informs everything we do and every decision we make, to this day. This vision has remained consistent and unchanged — strategically things have changed though. I can be very quick and firm in making decisions, but I’m also very happy changing my mind. Initially, for example, I was quite resolute about being an online-only brand. I softened this approach in the face of good arguments, to embrace retail, but still, I think we look at it in a slightly different way to others. We favour positioning and close exclusive partnerships that can be invested in by both parties. For example, our initial exclusive launch at Planet Organic or our upcoming launch with Net-a-Porter. For us it’s not about being everywhere, rather being in the right places for our brand and customer. On the key to building a strong team…….. The first thing you need is a team of people much smarter than you, people with complementary skills that intuitively share the vision and passion. Credibility was a fundamental foundation for me, I never understood how some nutrition brands don’t even have a nutritionist? I knew Dr Adam Collins from previous research, he’s now our Head of Nutrition as well as Director of nutrition courses at the University of Surrey. He’s not just a PhD Nutritionist with over 20 years experience, but someone who’s actually setting the syllabus for what we’re teaching the nutritionists of the future. I networked my way to my Co-Founders, Natalia Bojanic and Pete O’Donoghue. Natalia’s experience in both luxury PR and as a Meditation Teacher makes her a unique, creative force behind the brand and strategy. This enables us to position with both aspects of an aspirational product and a conscious brand. Pete has a varied background also, from F1 to training with the Marines. He worked initially on brand and manufacturing and is now our digital wizard, heading up our performance marketing function. We all bring completely different skills, which for me is the definition of a team. On taking time to create a valuable product……..
Natalia coined this phrase, ‘we’re quick thinkers who don’t rush’. We took our time to get things right, create a beautiful brand and more importantly, products that tasted great with just water. This investment in time and doing things right meant that come launch, the product and brand were able to speak for themselves. We launched exclusively in Planet Organic, and by six months were the protein partner for Sweaty Betty. Looking from the outside it seems easy, but it was the years of work leading up to launch that people don’t see. I guess the tipping point was about the 100th flavour sample where we finally got something that tasted good! And seeing the 20th iteration of our branding where everything fell into place brand wise. The most valuable feedback, however, is from our customers and this is when we really realised things were working. We get this from community events and emails, but in particular, reviews on our website where we now have over 200 on some products. This is the most rewarding thing – to provide value and have it appreciated. Commerce is connection and value, and this is what we focus on. On working towards a wider purpose……..
Having a purpose gives us and our customers something bigger to think about than our products alone. I actually think this will become a more and more important point with the rise of millennials. Consumers are becoming more conscious, they want to understand what goes on behind the brand, know that it’s aligned with their values and understand how the brand gives back. These are new ways of making purchasing decisions that brands are only just becoming wise to. It’s important to realise how fortunate we are and use this to be able to give something back. This is why with every product we sell, we give a meal to someone in need via our Family Feeding Fund at Bansang Hospital in The Gambia. It’s amazing to see how small gestures here can have massive impacts elsewhere. It’s been so successful that we’re now able to branch out from just providing food to providing pharmaceuticals too. We’re also about to expand our giving to support the education of young girls in India. On doing good, while turning a profit…….. Doing good and making money aren’t mutually exclusive. You need profits to do good in a sustainable way, and doing good becomes a great motivation. We just focus on providing great value to our customers in terms of product, service, information and education — the rest follows. On the importance of investing in yourself and your team……..
Time spent on yourself is an investment that enables a return on your time elsewhere in the day. Many people miss this point and think they don’t have time for the gym or to meditate or whatever. For me, I train with weights, walk a lot, meditate and am just restarting my yoga practice after a long hiatus. Diet wise I don’t believe in absolutes and labels so much, I try to eat well most of the time which for me is fish, rice and vegetables, no dairy, occasional burgers. I intermittent fast and don’t drink alcohol, both these things have been transformational for me. For me, it’s not about being perfect but good 80% of the time. For our staff, we have flexible hours and working practices, unlimited holiday and training time. Again, these are all investments smart employers are starting to make. Smart employees have a lot of options, employers have to compete for them. For Form, I think the challenges on one level are the same as those for any business looking to scale — staying true to values and building a culture that embodies them. Specifically, new product development is always a challenge, as we work so hard on ingredients and flavouring. A new product for us can take up to a year, for many brands it’s a few months. For the Wellness industry at large, there’s a great quote by Eric Hoffer, “Every great cause begins as a movement, becomes a business and eventually degenerates into a racket.” The challenge for the wellness industry is to not become a racket. The opportunity is the tremendous amount of positive change the industry can have on individuals and society as a whole. On the importance of participating in industry events, like the forthcoming Welltodo Summit……..
For Form, it’s really about aligning ourselves with partners like Welltodo who have pioneered this type of event, which gives something back to the industry with credible information and advice. We’re happy and grateful to be associated with the Summit and play a small part in it coming to life. On creating a lasting imprint……..
We want to leave an imprint as a brand that does good, is good, and has built a good community. Form will be joining the Welltodo Summit on 28th June as an official partner. To hear more industry insights, business strategies and advice from the brand’s Co-Founder Damian Soong, you can purchase your tickets here.